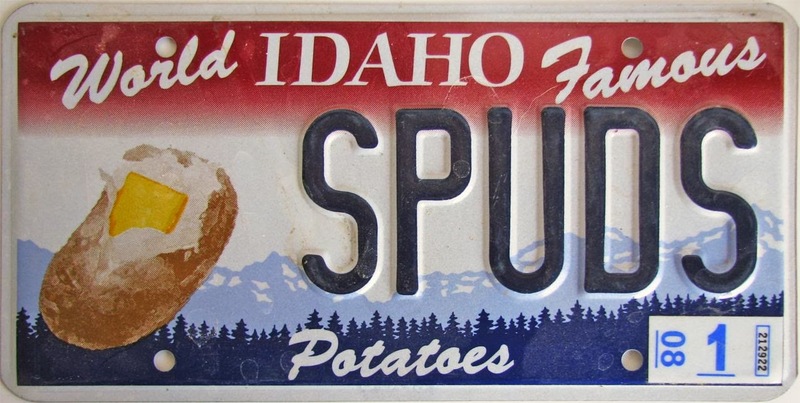 The state of Idaho and progressive policy aren't generally mentioned in the same breath. I mean, this is a state that typically ranks at or very near the bottom of the pack in spending on education and social spending generally. They've had a string of wacky Republican governors. The state is a company store. So I was surprised to learn the Idaho House has passed a bill that will prevent breweries from owning any interest in beer wholesaling or retailing operations. House Bill 524 passed by a 63-6 vote and is moving to the Senate. No word on its prospects there. If HB 524 is passed into law, it will effectively block the types of acquisitions we've seen in Oregon, where Anheuser-Busch has come in and bought several distributors. The most recent example is the buyout of Morgan Distributing, discussed here a short while back. The folks behind HB 524 are attempting to block similar acquisitions in Idaho. The idea is to protect the growing craft brewing industry there...and jobs. They want to make sure big beer can't come in, buy up the state's beer distributors and put craft brewers at a competitive disadvantage. This seems like a no-brainer to me, but sensible rationale hasn't stopped some people from opposing it. One of the counter arguments is that, by protecting the three-tier system, legislators are interfering with "free market" principles. Seriously? Look, the reality is you cannot have any semblance of a free market if you let beer behemoths come in and buy up distributors. If you do that, you put small breweries at a disadvantage because access to retail outlets will go through big beer. Protecting free market principles means you must pass legislation that preserves the integrity of the three-tier system. If you don't believe it, just wait and see what Morgan Distributing's (to be called Western Beverage, evidently) product list looks like. On the beer side, the list will be dominated by AB products. Craft beer doesn't fit with their objectives. They want to sell their crap. Period. If Oregon had a clue, it would start working on something like what Idaho is trying to pass. Otherwise, we will soon face a situation in which Anheuser-Busch has more control of market access than it should. And if you believe self-distribution offers a way out of that mess, you may need to schedule some sessions with your shrink. If breweries can't have any interest in retail establishments how does that affect breweries with on-site taprooms/restaurants? It doesn't apply to them. Breweries with on-site restaurants are licensed as such. At least they are in Oregon...and I assume in Idaho. But breweries can't own grocery or conveniences stores, bottleshops, taverns, bars, etc. They also can't own wholesale distributors, which would be out of the question for small guys, anyway. Idaho's effort to defend the three-tier system is intended to keep big beer from dominating the scene by buying up the state's distributors and limiting access to retail outlets.